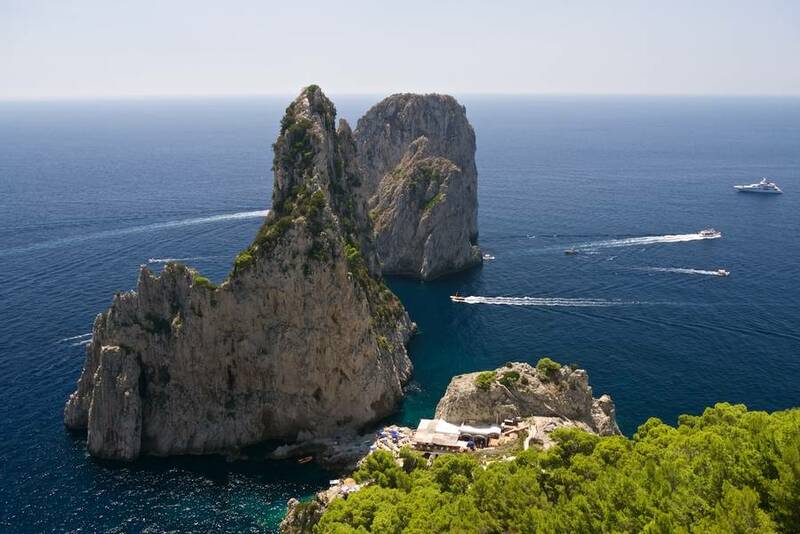 What better way to experience Capri than by sailing around this magical Italian island by boat? 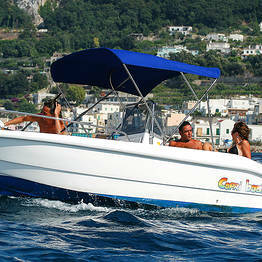 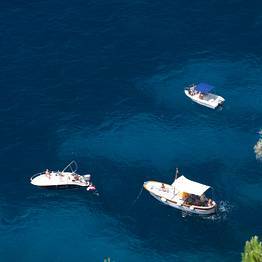 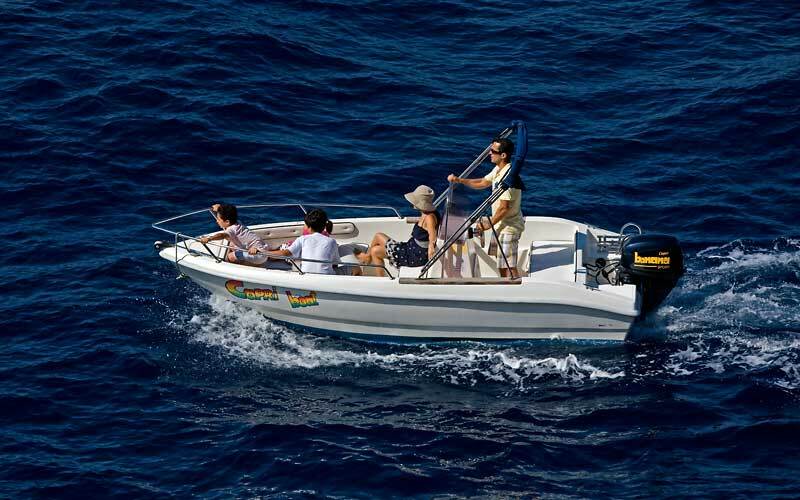 Capri Boat, with its impressive fleet of sailing craft, offers visitors to Capri just such an occasion. 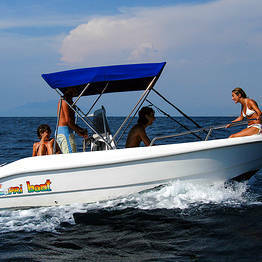 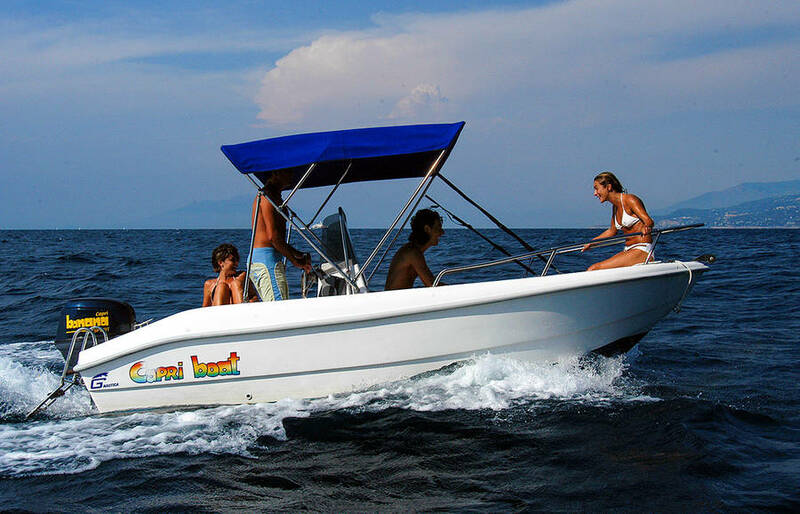 The company, which boasts years of experience in which it has established an excellent reputation for both its professionalism and highly competitive rates, has a number of boats all of which are comfortable, safe and extremely reliable. 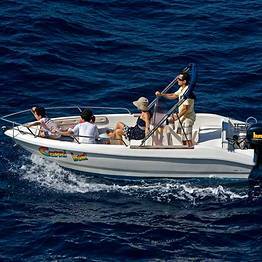 The craft are fun and easy to sail and, in fact, no nautical license is required. 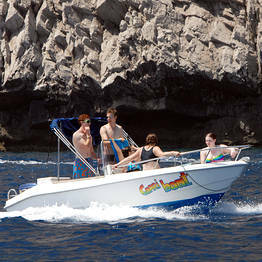 One hour non-stop sailing is all that is required to complete a circuit around the island. 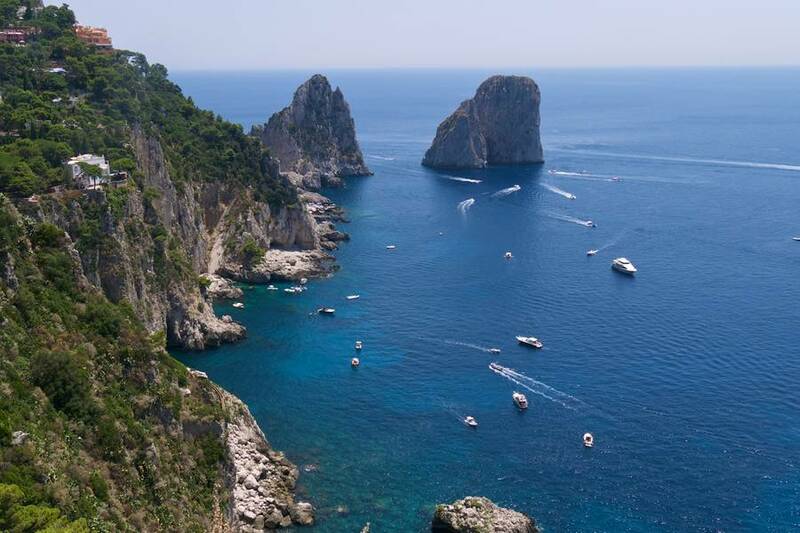 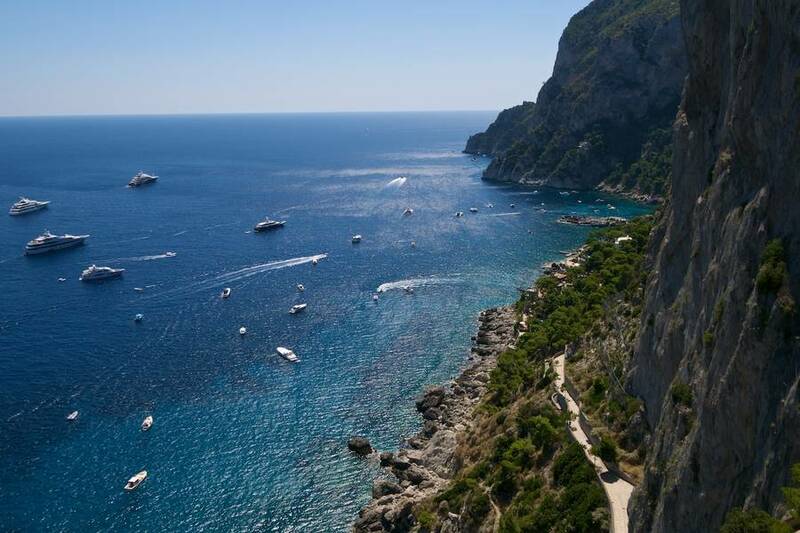 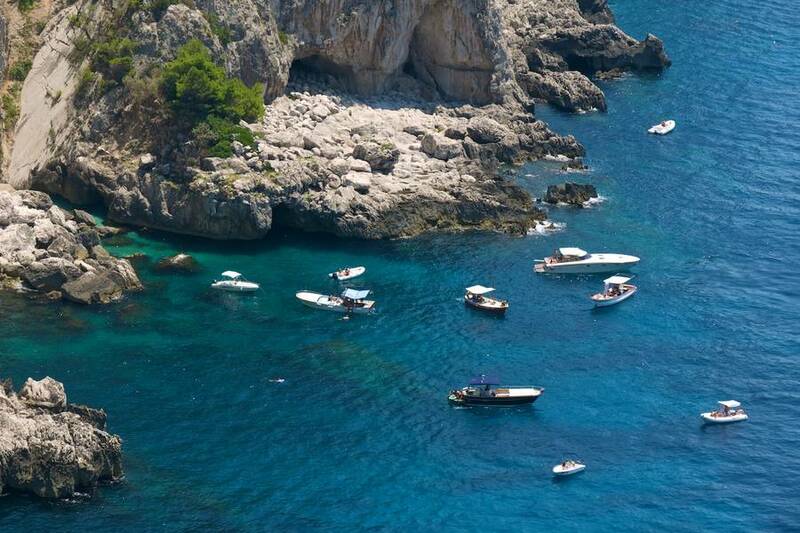 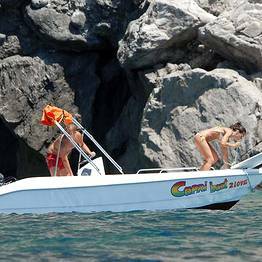 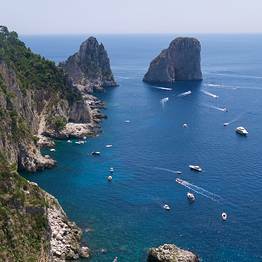 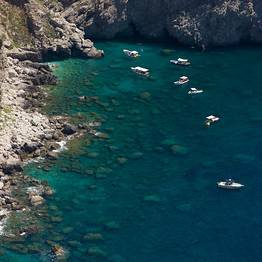 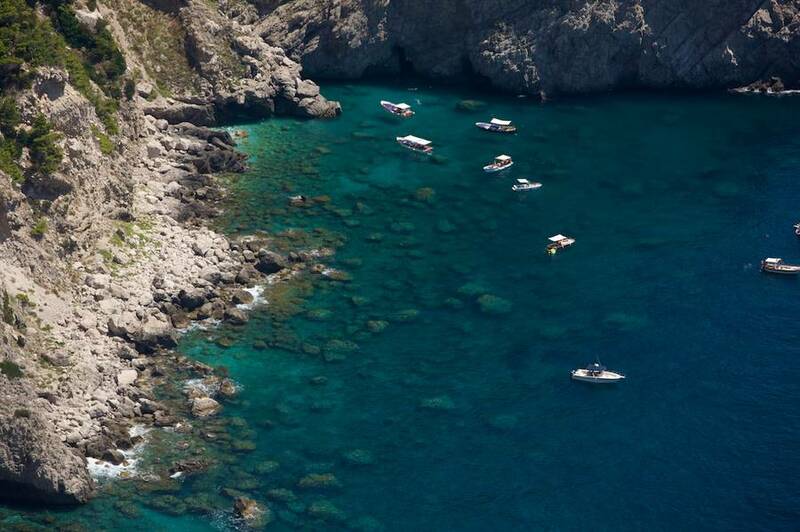 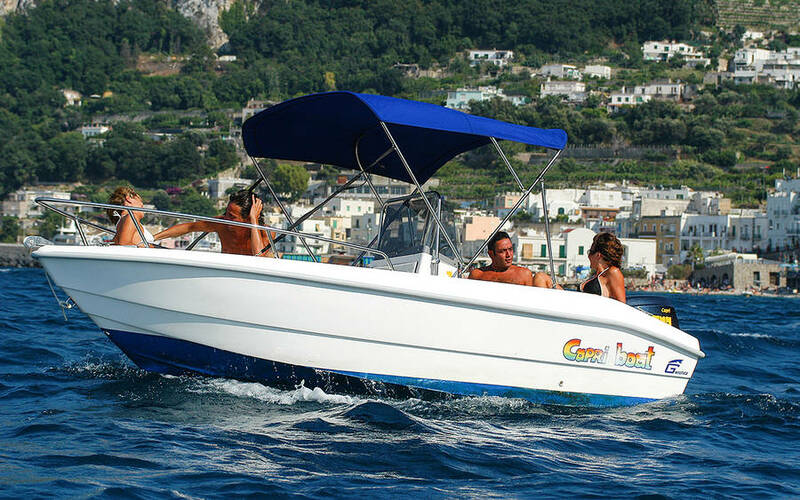 Naturally, most clients will opt for a more leisurely cruise of at least 2 hours, so as to allow themselves time to admire the many famous sites dotted around the coastline of Capri, sites such as the Baths of Tiberius, the Grotta Azzurra, the lighthouse of Punta Carena, the Grotta Verde, Marina Piccola and its legendary Faraglioni, Villa Malaparte, the Natural Arch, and the Grotta Bianca. 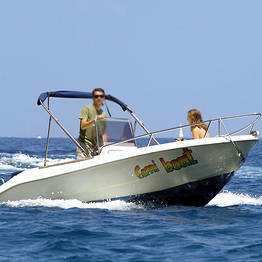 Larger boats are available for groups of as many as 9 people. 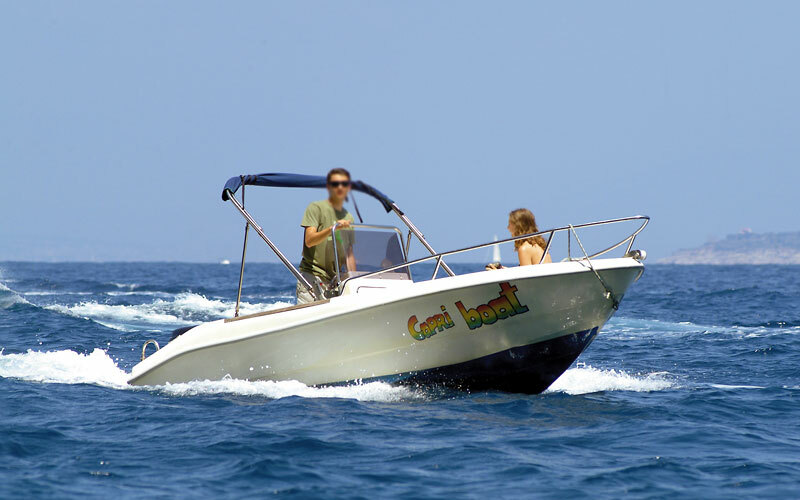 Those preferring to leave the sailing to the experts, can choose to rent a crewed boat. 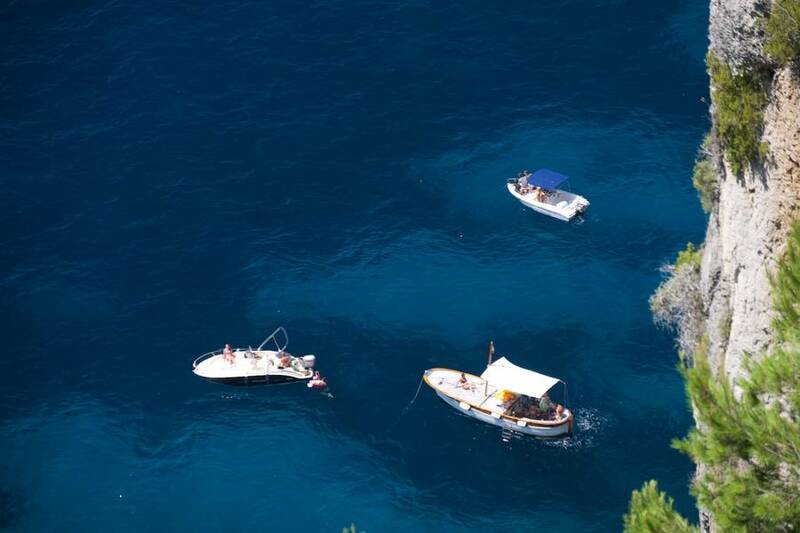 From the end of April to September, boats are always available! 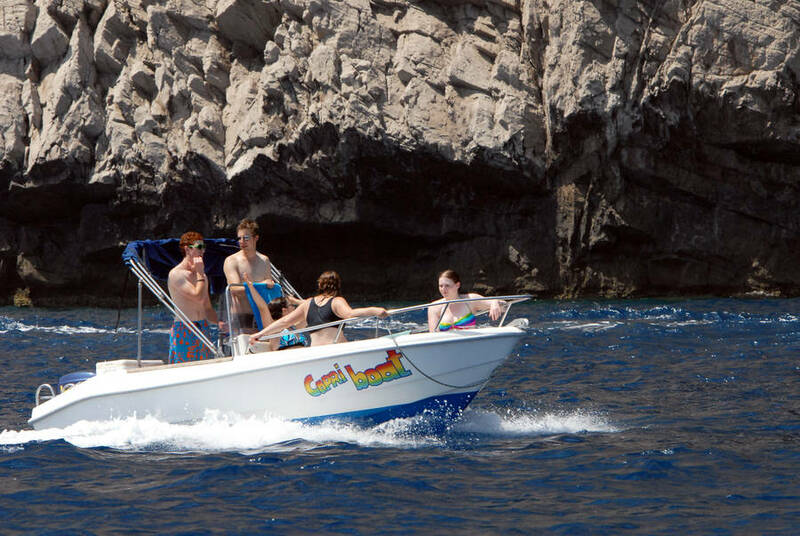 There's no need to make a reservation in advance, just call us a day ahead to reserve and if the weather conditions are suitable, you are good to go! 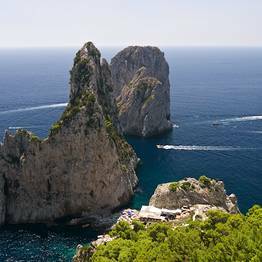 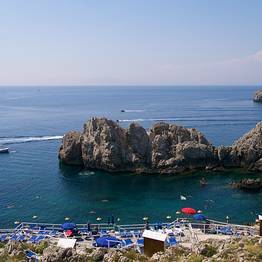 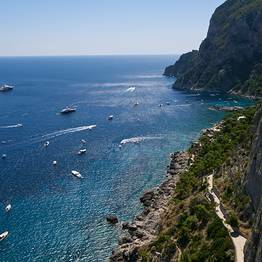 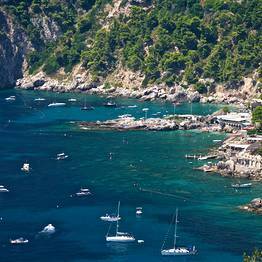 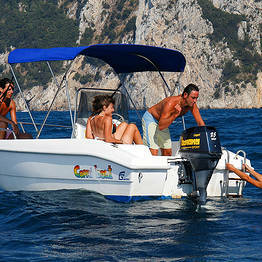 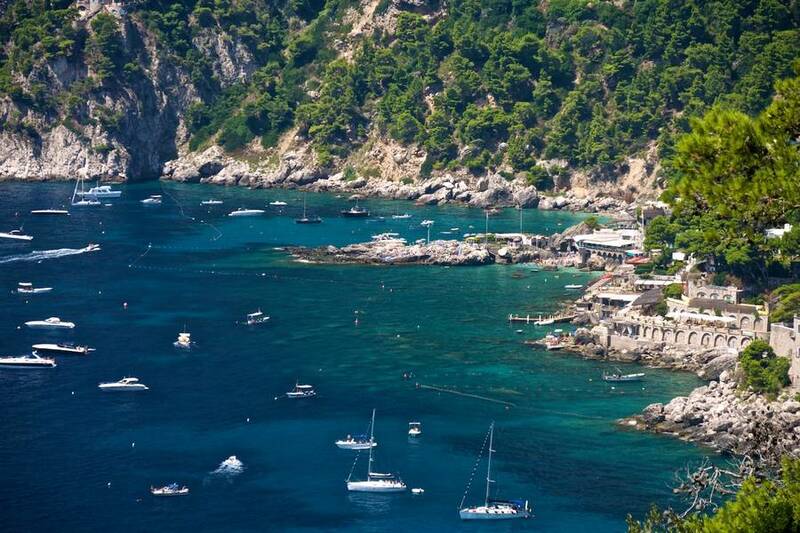 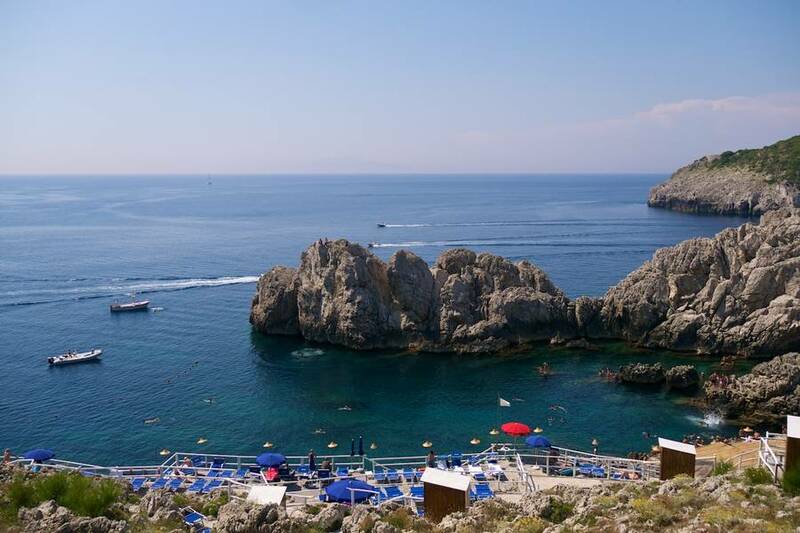 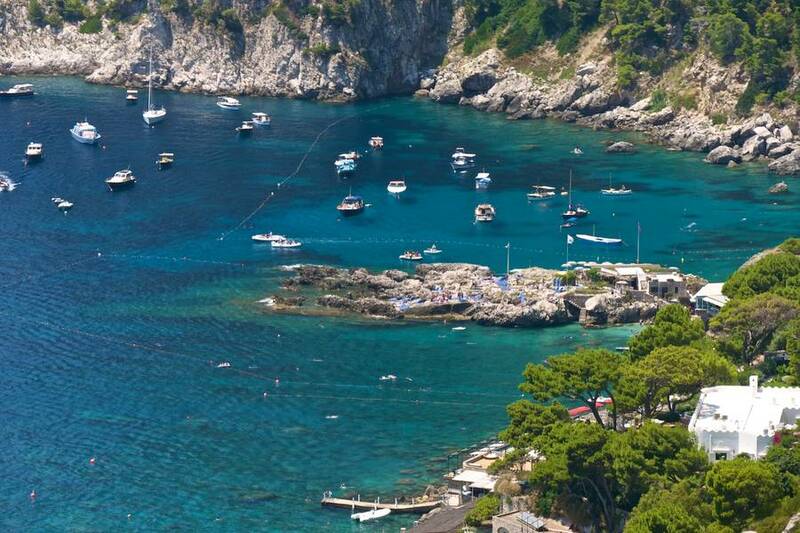 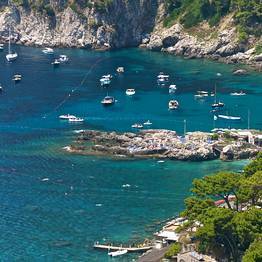 Then make your way to Marina Grande and Capri Banana Sport's private jetty behind the hydrofoil ticket offices.